In comments on the Fun with Filip post I mentioned that the basis should be taken into consideration for experimental design. 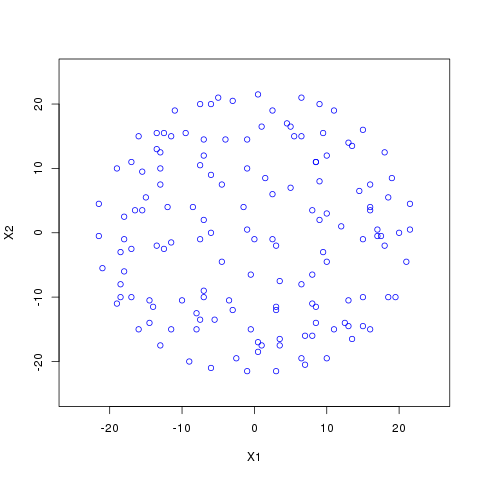 This script generates a couple different sample sets for estimating a sixth order 2-dimensional response surface. 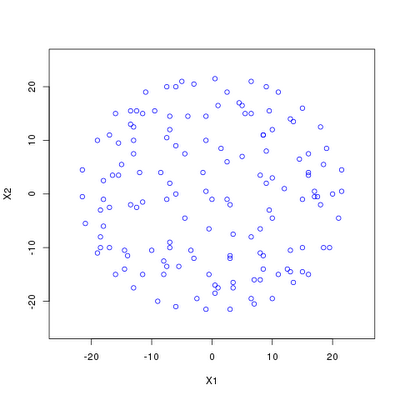 Regardless of the basis, monomial or the roughly orthogonal basis given by poly(), if enough resolution is included in the candidate point set, then the samples tend to display the characteristic clustering near the boundaries given by optimal spacing. The samples chosen based on the monomial basis are less "well-behaved" than the samples chosen using the orthogonal basis (I haven't looked under the hood of the AlgDesign routines, but I imagine that's due to numerical difficulties caused by the monomial basis). 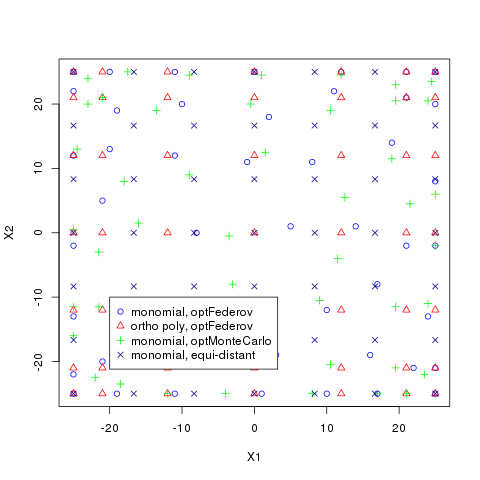 Another neat capability in the AlgDesign package is the ability to define constraints on the experimental design space when using the optMonteCarlo routine to chose points.